New York City/metro area, including the three airports that service the area. You will also be assisted with pre-purchasing any tickets to attractions you may want to add as part of your NYC experience and make recommendations based on your interests. Fully customize an itinerary to your liking, stopping at sites and attractions of your interest! With pick up available right at your hotel for your convenience, you will be traveling through New York City in style! Enjoy an unforgettable experience while traveling like a VIP in New York City. Choose from a limo for up to 10 people, a Sprinter van for up to 12 people, or a Jet Sprinter for a more personal experience up to 7 people. If your group is larger, we have just the vehicles to be able to accommodate your group. Our vehicles fit up to 56 passengers. On a personalized, private luxury tour of New York City, you will get to build an itinerary that will include all of Manhattan's major attractions and sites. Choose the places and routes you want to see. 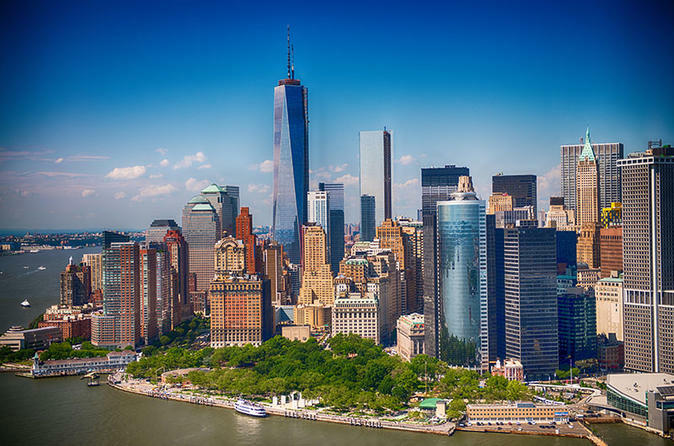 Suggested sites and attractions include Ground Zero, the Wall Street District, the New York Stock Exchange, the South Street Seaport, Battery Park, Rockefeller Center, Madison Square Park, the Metropolitan Museum of Art, and Central Park. Stop for a photo opportunity at famous sites such as: Strawberry Fields, the Metropolitan Museum of Art, Grand Central Terminal, Madison Square Park, Wall Street, 9-11 Memorial and more. Your professional driver and tour guide will work together to make your NYC experience one to remember!